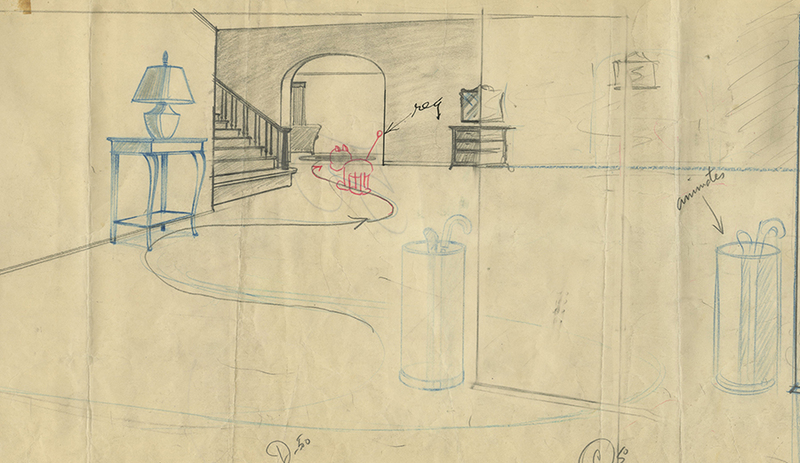 This is an original pan layout drawing from the MGM Studios production Push-Button Kitty (1952). This very long original drawing features the living room interior with the robot cat making its way through the space. It was created at the studio and used during production. The overall measurements of the piece are 10.5" x 76" and the image itself measures 9" x 73". The drawing is in good condition with standard wear that is often seen in longer art such as this.